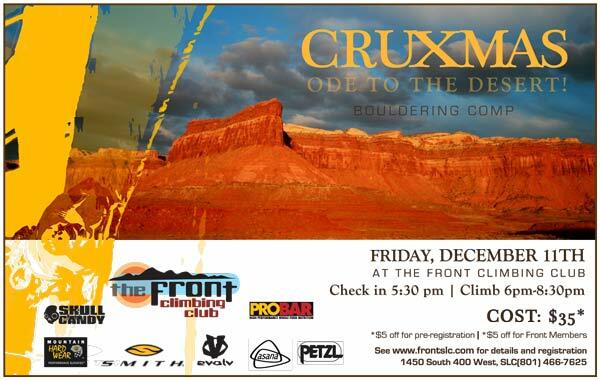 What: Cruxmas, Ode To The Desert! Snowbird Ski and Summer Resort and the Utah Avalanche Center (UAC) are partnering to offer the first annual Freeride Avalanche Summit, Dec. 17-18. The two-day clinic targets advance and expert skiers and riders who want practical and professional instruction on avalanche awareness, safety and rescue. The Freeride Avalanche Summit will include a unique blend of instruction that combines the expertise of industry leading avalanche forecasters with the experience and influence of local, professional athletes. You are currently browsing the Utahclimbers.com blog archives for December, 2009.